MX23A Series | Japan Aviation Electronics Industry, Ltd. Double fin structure with high reliability is adopted for socket contact and large chamfer is prepared in the front-edge side to prevent grommet from damaging. Incomplete insertion of socket contact into its housing can be detected with the front cap mounting process. Water protection seal ring is used in connector&#180;s mating area. It realizes full protection from hands touching on insulator wall. 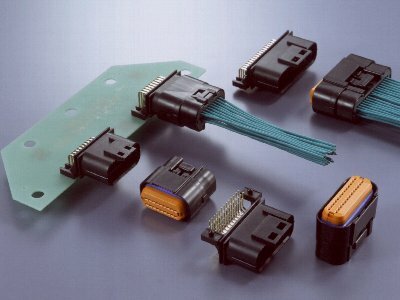 MX23 used for socket contact and dummy pin.